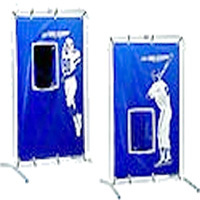 Test your skills as a baseball pitcher or football quarterback. Kids and adults alike love to see how accurately they can throw the ball. Size: Height: 7ft. Width: 4ft. Depth: 4ft.